Ziele und Projekte für das Biennium 2014-2016 in deutscher Sprache. Biennium goals and projects for download at www.zonta.org. Talking about Zonta International District 14’s history means talking about “New” District 14’s history, since the actual District 14 is one of five babies born by “Old” District 14 in July 1994. 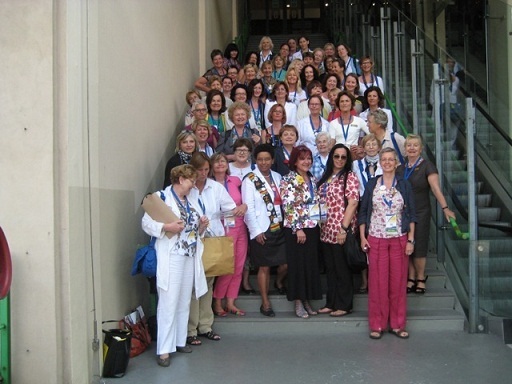 After long considerations and discussions among representatives and members of old District 14 and members of the Zonta International Board President International Sonja Renfer announced at the District Conference of Lausanne in October 1993, that District 14 is to be divided into five new districts: new District 14, District 27, District 28, District 29 and District 30 – this for being the largest, the most diverse and the most “outspoken” district of the Zonta International community. The first governors of the new five districts issued from the same conference. Gerda Senkyr (ZC Wien-Parkring) became first governor of the new District 14. 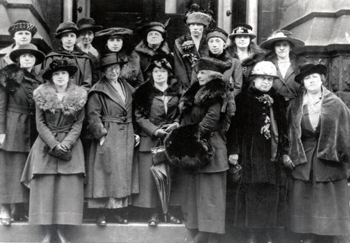 In Buffalo, New York USA in January 1919, five women attending a social meeting of Kiwanis as guests conceived the formation of a new service club. This new club would be composed of women who were recognized leaders in their businesses and professions. The primary purposes of the club would be to standardize and disseminate business principles and practices and to provide service to humanity through cooperative efforts. During the spring and summer of 1919, clubs were organized in Buffalo, Rochester, Binghamton, Elmira, and Syracuse, New York USA. Under the leadership of its Charter President, Marian de Forest, a playwright and newspaper critic, the Buffalo Club established specific guidelines for membership and classification. District 14 delegates at the 2012 convention: young, dynamical, professional and positive.